Toy and comic collections grow and grow, with some falling out of favour as new things take over, then make a comeback when kids rediscover older items. Keeping things organised, so small parts don’t get lost and spoil games or just so you can see what you’ve actually got, can be challenging. Furniture that does more than one job is perfect for keeping toys, games and comics organised. Ottoman beds or divans with drawers provide lots of space for dedicated storage. You could, for instance, create divided sections in divan drawers for an organised way to hold building bricks, art supplies, car collections or anything else with multiple small parts. Shelving is a must, but choose shelves you can adjust. That way the system will grow with your child and the type of toys stored there. Shelves should always do the job you want, not force you to comply with their particular arrangement. Put the toys most often played with on the lower shelves. Keep comic collections pristine by filing them upright in filing boxes. Especially prized editions should have an acid free cardboard insert to prevent them bending and for added protection, seal them in a ziplock bag. For often-read comics, canvas storage boxes look good and can hold multiple editions. Stick a picture of the main character or comic title on the front of the box for easy identification of what titles are in which bin. If you have some DIY skills, a simple homemade corral will help keep stuffed animals organised. 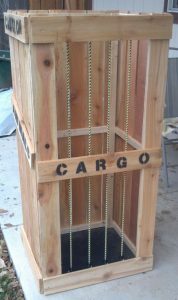 You need an upright box or crate, with holes drilled so they run evenly down either side of the open front. Stretch short stretchy bungee cords across the front and you have a quick cage for cuddly creatures to live in. If toys haven’t been played with or asked for in several weeks, they’ve probably been forgotten. You can make room for current favourites by putting the others into storage. 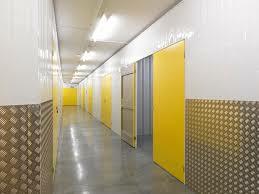 Storage may be at home in the loft or garage or in self storage units if you don’t have space at home. 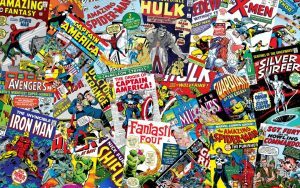 Self storage is especially good for comic collections with monetary value. If you have some first editions or rare titles, you’ll want those kept securely in optimal conditions. 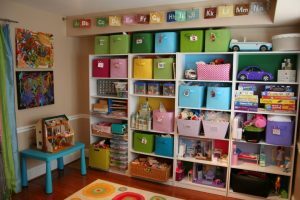 You can rent document storage space from self storage facilities, or go a step further and rent an entire room for toys. Some toys grow in value, as dedicated collectors know, and are definitely worth keeping if they’re still in boxes or in generally good condition. 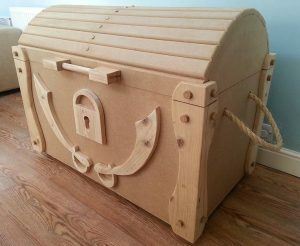 Have a large toy box or chest. These just encourage muddle and mess. Tidy-ups are quick when you can just throw everything inside and close the lid. But when your child wants something, it’s usually at the bottom and everything comes out and goes on the floor in order to reach the desired toy. No child is going to take time to put the other stuff back in the box before playing with the thing they wanted. Use boxes kids can’t open. Boxes and tubs with tight lids prevent small items spilling out if they’re accidentally knocked off shelves, but they also tend to be pretty kid-proof. Use open tubs or boxes with light lids that simply slot loosely over the top of the box so children can help themselves to what they’re looking for. Buy toys or comics just because you like them – It’s tempting to buy toys we, as parents, like. We all have an inner child that still likes toys. But, if your small daughter hates dolls, try to resist the temptation to buy her the latest doll craze. It’ll just be something un-played with that you have to store. Organising toy and comic collections is a little work to start with, but the reward is longer lasting collections and less frustration in finding things and tidying up afterwards. This entry was posted in Guest Post, Me.